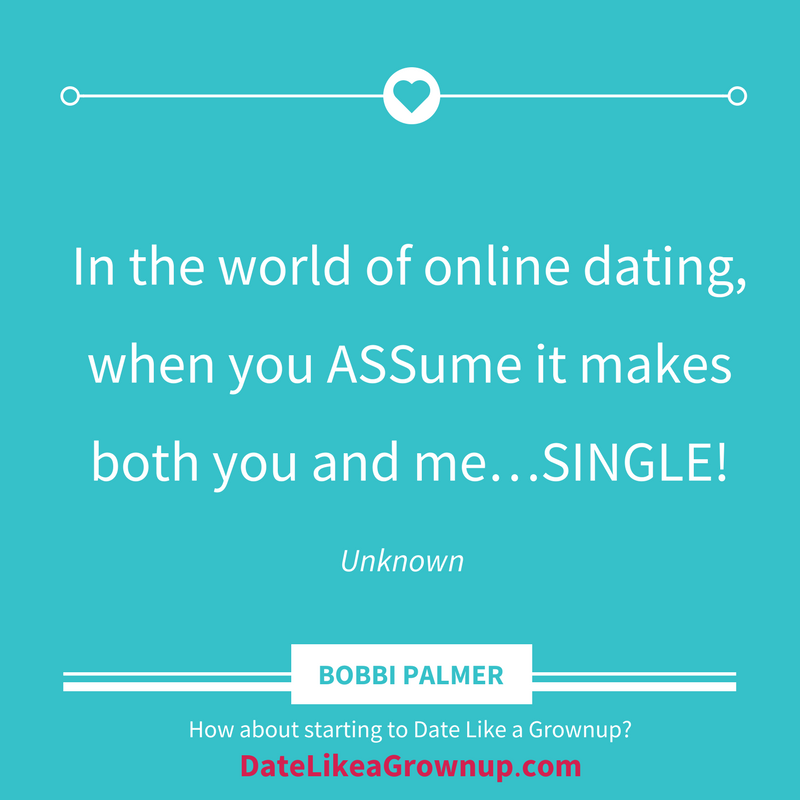 Online Dating Over 40: Mastering the "Meet Date"
Raise your hand if you can accurately read the minds of your girlfriends. My guess is that, at least for your closest of girlfriends, you actually can. Now, raise your hand if you can accurately read the minds of the men you’re dating or have had short relationships with. Anyone? Okay, now raise your hand if you’ve tried to read the minds of the men you’re dating or have had short relationships with. I bet you have, and I bet you can’t. I bring this up because of something that happened to my friend Jan last week. I think this is a great story of how becoming more aware of your thoughts and actions can make a really nice change in your life. This includes managing the propensity to read men’s minds. Jan’s on her “meet date” with a new guy she connected with on Plenty of Fish (www.pof.com). I call it a “meet date” because it’s just that: a way for two people to meet. It’s only after this that you decide if you want to go out on a real date. I think it’s important to think of it this way because guess what, many men see it this way. And when they do, it means they may not be in their full-throttle, romantic, wow-the-woman date mode. Anyway, Jan and Mr. New Guy are having lunch. They’ve talked a little, and she thinks he’s a nice guy. Her lunch is served along with her iced tea, but the waitress never brings the requisite straw. Jan and New Guy are sitting just a short distance from a table where straw-o-rama awaits. Jan looks over at that table, looks at Mr. New Guy, and waits for him to get up and get her a straw. So Jan asks, half joking: “Hey…aren’t you going to get up and get me a straw?” To which Mr. New Guy replies: “Nope, I was looking forward to watching you walk over there.” A sheepish smile follows. Okay, so what are you thinking about this guy right now?? Got it? Okay, please read on. 1) It didn’t offend her. A year ago she would have considered that rude and sexist and completely inappropriate. She may have even gotten up and left. But she’s been working on a handful of changes that are making her a more conscious, graceful, and grownup dater. I’ve been coaching Jan, and she’s been learning to be more compassionate and less judgmental of men. She’s also becoming much more in touch and comfortable with her femininity. She’s loving feeling softer and being able to show all aspects of her personality, and the men are definitely responding. So when Mr. New Guy made his comment and smiled, the woman inside her felt flattered and she was quite tickled. 2) She would never have guessed his reason for not getting up to get her the damn straw. So what happened? Jan returned the sheepish grin, and on the date went — after he went and got her the straw, of course. Mr. New Guy is now Jan’s Mr. Past Guy. These small changes in attitudes and habits — like accepting you can’t read a guy’s mind, like giving a guy a break, like getting comfortable with just being yourself — can make all the difference in your search for love and, as a great side benefit, in love of yourself. Don’t try to figure out what a man is thinking. They think so differently than we do, and you’ll be wrong a huge percentage of the time. But you already know that. SO true! I have a friend who — when I start to assume I know what a man is thinking — always asks me “Oh yeah? And do you know what he had for lunch yesterday too?” In other words… Nope. We don’t know. Don’t assume. Don’t even try to figure it out. It’s far more important to think about how YOU are feeling and thinking. That will take you where you need to be. Thanks for the great post!